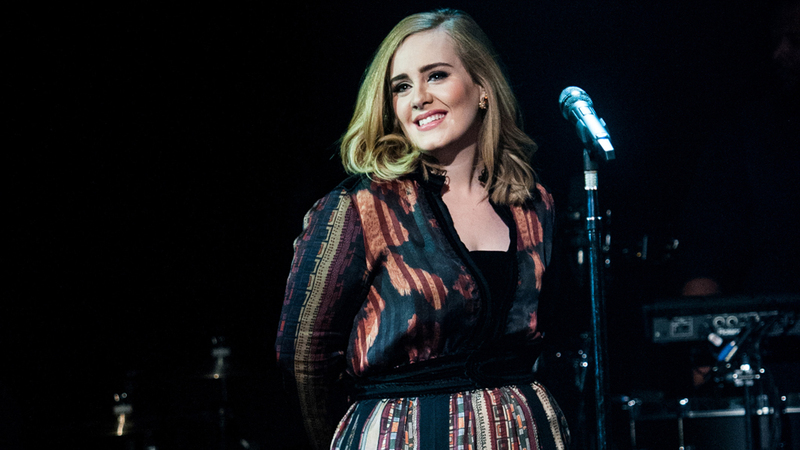 Fans of Adele in Belfast, North Ireland were wowed by her on 29th February, Monday as the superstar kicked off her first tour in over five years. Late last year, the British singer stepped into the spotlight once again after she had taken some time off for undergoing throat surgery in 2011 and then for doting on her son Angelo, who had been born in October of 2012. She made a comeback to the music world with her album 25 and following its success, she made the announcement of her plans for a horde of shows in North America and Europe. The tickets to these events were sold out in a matter of minutes. On Monday, she began the Adele Live 2016 trek as she stepped onto the stage at the SSE Arena Belfast and she definitely didn’t disappoint. Her renditions of her popular singles such as Rolling in the Deep, Chasing Pavement, Hello and Someone Like You absolutely thrilled fans. For the concert, the singer donned a Burberry-made custom black sequined gown and she sipped on her favorite beverage, which is a cup of tea, for keeping her vocal cords well-lubricated during the show while she engaged with the attendees in between songs. Fans gave rave reviews to her relaxed show as they headed to social media to sing praises about the talented star. The British lady will make a return to the SSE Arena in Belfast on 1st March, Tuesday before she heads over to Dublin, Ireland on 4th March, Friday. On 16th June, Adele will wrap up her European gigs in Antwerp, Belgium from where she will head on to Saint Paul, Minnesota. Her North American leg of the tour will kick off from 16th of July. Fans are looking forward to see the star return to stage after a long break.